New AirPods are supposedly coming soon. Upgraded AirPods are on the way — and a new report sheds light on new features that Apple’s next-gen wireless earbuds will supposedly boast. If you’re looking for a new color option, smart sensors, and a less droppable coating, you’re likely to be in luck. If you’re looking for a drop in cost, on the other hand? Not so much. The report, which comes from a website called MySmartPrice, says that the AirPods 2 will supposedly look very similar to current AirPods. However, they will offer improved sound quality and a new, more grippable coating similar to the one Google uses for its Pixel smartphones. This will also find its way onto this year’s iPhone refresh. The upgraded AirPods also will include new sensors for health-tracking applications, according to the website’s anonymous source. AirPods 2 will cost around $200 and come in black and white color options, the source said. And the battery will be roughly the same as the one in first-gen AirPods. As always, you should take unsubstantiated Apple rumors with a pinch of salt. (Especially when they don’t cite source names.) With that said, if this report proves accurate, it sounds like AirPods 2 will be worth waiting for. 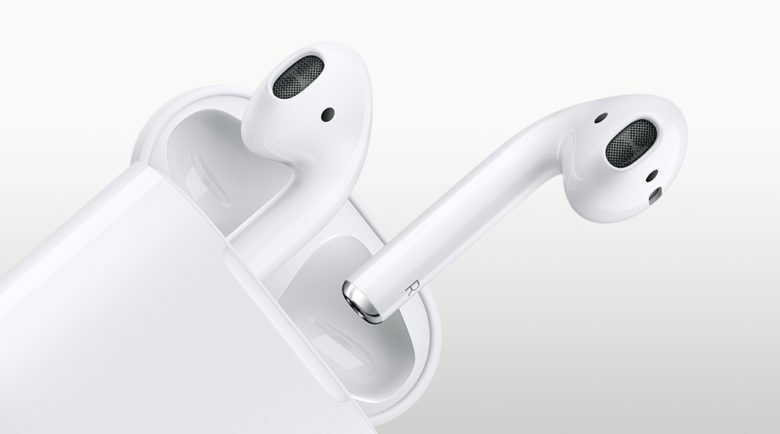 The first-generation AirPods — introduced on December 13, 2016 — became a gigantic hit for Apple. Given the size of their success, it’s no shock that Apple would be keen to launch a follow-up. Another recent report suggested that new AirPods will land in the first half of 2019. That rumor said AirPods 2 could bring Hey Siri support, new health-monitoring functions, noise cancellation and water-resistance. A more significant AirPods redesign supposedly will follow in 2021. What features would you like to see in Apple’s next-gen AirPods? Let us know your thoughts in the comments below.